BINOCARD is currently in the process of being created and the description here is for future reference. If you, or your child, had been registered before 1 April 2015 by a congenital anomaly registry in England, please view the Privacy Notice page. BINOCARD is a series of linked de-identified research databases for congenital anomaly outcomes which had been created through a one-time linkage of historical registry data to hospital episodes, civil registrations data and educational databases, provided by NHS Digital, ONS and Department for Education respectively. When the surveillance function of the BINOCAR registries was transferred over to Public Health England on 1st April 2015, it was agreed that the case data collected thus far had the potential to become an invaluable resource for research into the associations between types of congenital anomalies and the long-term health and developmental outcomes of affected children born over a period spanning almost 30 years. 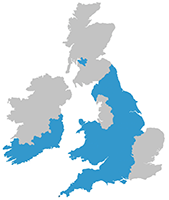 BINOCARD contains records of cases submitted to five regional Congenital Anomaly Registers (CAROBB, EMSYCAR, SWCAR, NorCAS, WANDA) in England during their active periods of surveillance. The database is de-identified, meaning that it does not contain names, dates of birth, NHS numbers, postcodes or other information that could disclose the identity of any individual. The BINOCAR Management Committee (BMC) reviews all requests for BINOCARD data, on the basis of scientific merit and potential to deliver a measurable benefit to health and social care, subject to ethical permissions being obtained and requirements for secure data storage and processing being met. Researchers interested in applying for BINOCARD data can find detailed guidance in the sub-menus, and are welcome to contact the BINOCARD repository leader, Professor Joan Morris (jmorris@sgul.ac.uk) with further enquiries.